We are moving into an era where technology is developing and changing so rapidly such that there is a concurrent commercial need to obtain expedited grant of patent applications so as to enable innovators to obtain granted patents more quickly and more efficiently. Furthermore, as the catastrophic effects of global climate change are likely to be the next great challenge in the 21st century, we have seen an increase in the number of patent applications being filed relating to the fields of inter alia energy conservation, the development of alternative and renewable energy sources and greenhouse gas emission reduction. Time is ticking for innovators and world leaders to find tangible solutions to these environmental problems and thus the increasing need for patent holders to obtain expedited grant of patent applications in these fields. Numerous national Intellectual Property Offices offer various types of fast-tracking programs and a summary overview of a few of these fast-tracking programs is given below. Certain Intellectual Property Offices have established fast-tracking programs for environmentally-friendly patent applications with the purpose of promoting so-called “green” technologies. The overriding objective of these accelerated patent examination programs is to ensure that patent applications covering green technologies are examined as a matter of priority thereby reducing the time ordinarily taken to obtain a granted patent, from several years to a much shorter period reaching a few months in specific cases. 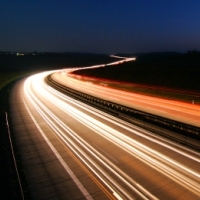 A further program that is being increasingly used to expedite grant of a patent holder’s international patent portfolio is the Patent Prosecution Highway (referred to as the “PPH”). The PPH program is available for all patent applications in all technological fields (and thus is not only applicable to green technology patent applications). In terms of this program, where patent claims have been found to be patentable by either the European Patent Office (“EPO”), the United States Patent and Trademark Office (“USPTO”), the Japanese Patent Office (“JPO”) or one of the other participating Patent Offices, accelerated processing of the patent holder’s corresponding patent applications that are pending before said other participating Patent Office(s) may be requested. The various Patent Offices participating in this program refer to and share already existing patent search and examination results as much as possible in such cases. In this way, the program allows patent holders to fast track examination procedures of their foreign patent portfolio through these participating Patent Offices. The USPTO offers a further program, namely Track One prioritized examination, the goal of which is to assert the grant of a patent application within 12 months from obtaining prioritization status thereof. Whilst the above succinctly describes a few of the fast-tracking programs available and which are widely used, it is by no means an exhaustive list. The merit of using fast-tracking procedures is evident by high tech companies, such a Google, which has, to date, secured approximately 875 fast-track patents. It is reported that Google’s attainment of this large number of fast-track patents equates to around 14 percent of the 6,187 expedited patents that have been issued by the USPTO. As one can see, there are key advantages associated with these fast-tracking procedures. 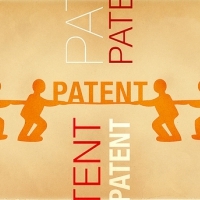 A first primary advantage is that patent holders will be in a position to commence licensing their patent technology a lot sooner in comparison to going the normal patent examination route which, in turn, will significantly reduce the time that patented technology can be marketed and commercialised. As for start-up companies, these enterprises can start raising private capital on the strength of their granted patent a lot sooner than would be the case under normal examination. Of course, these fast-tracking procedures are not without certain disadvantages which one should be aware of. A fundamental drawback associated with the fast-tracking programs available resides in the difference in each Patent Office’s requirements, rules and procedures. This places a significant burden on patent holders to adequately meet each Patent Office’s requirements and to prepare different patent claim sets suitable for each program. A further disadvantage that should be borne in mind is the costs pertaining to requesting accelerated examination. These costs differ from program to program and with respect to each different international Patent Office. A harmonised, global fast-tracking program would inevitably solve the above burdens placed on patent holders and would also encourage more patent holders wishing to participate in expedited patent examination programs. This entry was posted in Patents and tagged Technology, Ursula Baravalle on March 26, 2015 by DMKisch. An earlier report by the writer in respect of a Supreme Court of Appeal decision (BMW AG v Grandmark International (Pty) Ltd 2014 (1) SA 323 SCA) adopted a cautious view on the effect of that judgment on the OEM industry seeking to compete in the South African market. Happily, a further decision (August 2014) on similar subject matter (Chespak (Pty) Ltd v MCG Industries (Pty) Ltd 2014 JDR 1734 (GP)) is now to hand which brings much needed certainty on the question of functionality as this may apply to registered South African designs. The appellant’s contention was that the use of an omnibus type definitive statement identified no specific feature to enable the general public to identify what the scope of protection is, thereby making the right itself a nullity. Further, the appellant contended that the absence of certainty in relation to the claimed monopoly meant that it had to consider every feature resident in the design, which in its view afforded it a basis on which to pry open its argument on functionality of each individual feature. A three bench sitting of judges of appeal disagreed. In disposing of the appellant’s criticism of the use of omnibus type definitive statements, reference was made to the dictum of Laddie J (as he then was) in Ocular Sciences Ltd v Aspect Vision Care Ltd  RPC 289 at 422, which was applied with approval by a sitting of the Full Bench in the Supreme Court of Appeal in Clipsal and Another v Trust Electrical 2009 (3) SA 292 at 7, which accepted the omnibus type statement in local practise. Laddie J’s reasoning which was accepted by the present judges included that the omnibus type statement does not isolate any aspect of the design with the object of claiming novelty or originality in any particular feature and that the proprietor can choose to assert the design right in respect of the whole of the design or part thereof. This is as broad as one can permissibly construct the monopoly under the South African Designs Act 193 of 1995. The Court then turned to deal with the functionality argument. Accepting that any court in determining the scope of a design right, must not consider solely functional features of a design in the context of an aesthetic design registration, the Court put paid to the argument by casting a light over the use of the word “solely” by the Legislature. The Court reasoned that the scope of functionality exclusion within the aesthetic context does not extend to features serving a functional purpose but also having aesthetic appeal. The mere fact that a feature of a design or the design itself performs some function is not decisive. The real test is whether the function which the design or the article to which the design is applied performs, dictates or necessitates its shape or configuration. In other words, the Court in deciding the question must have regard to whether the feature is included as part of the article (or the design) solely or purely for the reason that it performs a function, or if that article or feature has added aesthetic appeal. The fact that the mentioned feature could have been manufactured to look differently added to the Court’s reasoning in finding against the functionality argument. On the question of infringement, the Court re-stated earlier authority (Brudd Lines v Badsey (2) 1973 (3) SA 975 (T)) that the criterion is one of an impact made on the eye by the whole of the design. A minute analysis for such differences as there may be between the design and the infringing product (in the context of omnibus statements) is inappropriate. No doubt there would be differences in the infringing product as any infringer would attempt to camouflage plagiarism by introducing a difference here or there. If the design, when viewed as whole, shows unmistakeable similarity beyond argument, infringement would be established. The present decision should bring comfort to the workshops of OEM designers in that it has provided certainty, albeit where such certainty already existed under the cited authorities, in a convenient manner that strings together relevant considerations of the functionality v aesthetic designs argument in a single case. One would indeed be hard pressed to find an aesthetic design that is not completely free of the performance of any function, whether such function is to provide support, embellish or merely look pretty. It is a good decision and in line with our comments made in the BMW case supra. This entry was posted in Designs, Patents and tagged Muhammed Vally, Registered aesthetic design on March 26, 2015 by DMKisch. Are only the likes of Bob Marley afforded protection of their image even after they are gone? 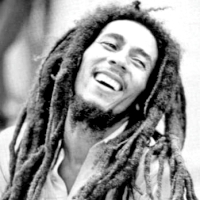 A number of entities have knowingly used the image of the famous reggae singer, Bob Marley, on t-shirts and other merchandise, without the permission of the company Fifty-Six Hope Road Music Ltd., which had succeeded on Marley’s death to the business he had established during his lifetime dealing in memorabilia products bearing his name and image. The shares in Fifty-Six Hope Road Music Ltd. were inherited and owned by Marley’s children. This issue was decided recently by the USA appeal court and the court awarded $300 000 in damages, more than $750 000 in profits, and more than $1.5 million in attorney’s fees, to the Hope Road company. This case was decided on the basis of the intellectual property rights held by the Hope Road company and the fact that the use of Marley’s image was used as a trade mark and was associated with this company, even during Bob Marley’s lifetime. In particular the court held that consumers were falsely led to believe that the unauthorised use of Marley’s image was endorsed by the Hope Road company and this interfered with the company’s prospective economic advantage. In South Africa, there is a similar approach to the rights in trade marks of this nature. If this case had been held before a South African court, our courts would have likely reached a similar conclusion, and would have ruled in favour of the Hope Road company, namely on the basis of the rights flowing from the Hope Road company’s long established usage of the Bob Marley name on memorabilia products. Even though this case dealt with the use of an image of a person, this matter was decided on the basis of intellectual property rights and not on the basis of personality rights. In South Africa the right to one’s image is protected under the common law of personality rights. A case that illustrates the protection afforded by these rights is the South Gauteng High Court case of Kumalo vs. Cycle Lab (Pty) Ltd. In this case Julia Basetsana Kumalo, a celebrity and public figure who has built a successful career as a model, television presenter, magazine editor and businesswoman, visited the Cycle Lab store with the intention of purchasing a bicycle and related cycling items. While trying on cycling helmets, a man approached her and took her photograph. Cycle Lab thereafter incorporated this photograph in an advertisement for its store. Kumalo did not agree to the taking of her photograph, nor to its further use for advertising purposes. The court held that the use of Kumalo’s photograph without her permission constitutes an infringement of her common law rights to her personality and identity as well as a violation of her constitutional right to dignity and privacy. Furthermore, the Code of Conduct of the Advertising Standards Authority of South Africa makes provision for the protection and exploitation of an image of a person being used without permission and expressly requires that permission be obtained prior to the use of an image portraying any living person in an advertisement. The question then remains, do the people who survive us after our death have any control over the use of our image? The answer is NO. Personality rights only apply to a person during his/her lifetime. It is only if the portrayal of the deceased’s image leads to deception and confusion with a business entity using that image, that a protectable right will be recognised. The US court illustrated the basis on which it found the Hope Road company enjoyed a protectable right by contrasting its position with that pertaining to the imagery of the late Princess Diana. During her life and after her death, pervasive unauthorised use of her image took place. Even during her lifetime, Princes Diana did nothing to prevent such use of her image. This use diluted the perception that her image was endorsed by anyone and therefore weakened any association that consumers may have had with her image and her estate. There has been significant unauthorised use of Marley’s image. However it was not uncontested, as in Princess Diana’s situation, resulting in the rights to his image being preserved. Similar considerations would, I believe, apply under South African law. In conclusion, enjoy your rights in your image for as long as you live, and if you want to enjoy any rights in your image from beyond the grave, use and register your image as a trade mark or secure the copyright to your photograph. The case of the unauthorised use of the Bob Marley image was decided on the basis of intellectual property rights. In South Africa one’s image can be protected on the basis of one’s personality rights, and the constitutional right to privacy and dignity. These rights terminate on death, unless preserved through other means such as registered trade mark protection which can be passed on to heirs, or under the common law of passing off, if the goodwill of a business can be proved by the party claiming the rights thereto. This entry was posted in Trade Mark and tagged Moran Lie-Paz, Protection on March 26, 2015 by DMKisch. A Domain of Disaster? Navigating the tide of new generic top level domain names. In 2013 ICANN (The Internet Corporation for Assigned Names and Numbers) commenced its roll out of thousands of new Generic Top Level Domain Names. 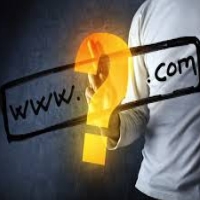 Generic Top Level Domain Names (or GTLDs) in simple terms are the extensions that follow an internet address such as .COM or .NET and essentially assist Internet users either in remembering an address or determining what type of address it is for instance a commercial address (.COM) or a non-profit organisation (.ORG). In the past year many new extensions such as .clothing, .bikes, and .vacations have been released and are set to change the Internet as we know it. ICANN’s logic behind the introduction of new GTLDs, in short, appears to be that the expansion of the Internet was restricted by the existing GTLDs, previously limited to 22 extensions such as .com, .net, and .biz. In addition, the new GTLDs are intended to assist Internet users in finding the specific types of goods or services they are looking for and assist brand managers by creating descriptive web addresses such as www.nike.clothing, to increase traffic to their website. In the past, whilst it was relatively easy to monitor infringing domain names due to the limited number of extensions, going forward it will become increasingly difficult for both intellectual property managers and rights holders to keep track of cyber-squatters, without registering their trade marks with one of the ICANN approved centralised databases. One such database is the Trademark Clearinghouse. The Trademark Clearinghouse allows proprietors of registered marks to register their mark on the database. Once a mark is registered, rights holders are permitted to participate in the so-called “sunrise period” for the release of each new GTLD. The “sunrise period” is essentially a period in which persons with registered trade mark rights have the right of first refusal prior to the release of the new GTLD to the public. The goal of the “sunrise period” is to prevent cyber-squatting as well as ensure that the person with the strongest rights to the domain name receives the right to use the name. In addition to granting rights holders pre-emptive rights the Trade Mark Clearinghouse also provides on-going notification services which inform a trade mark owner when a domain name incorporating their mark has been registered under one of the new GTLDs. Unfortunately this is merely a notification system and does not block the infringing registration. Whilst this may be an option for larger companies with big intellectual property protection budgets, for small and start up companies with limited resources, a carefully crafted brand protection strategy will need to be developed to deal with release of the new GTLDs so as to ensure that the maximum amount of protection is achieved for the least amount of money. In developing such a strategy, it is important to identify a company’s primary brands or marks and ensure that these are registered as trade marks, so that they are eligible to be registered with the Trade Mark Clearing House and take part in the “sunrise period” for new GTLDs going forward. This will ensure that the company is kept up to date of all new GTLDs which will be released in the future and can take a pre-emptive approach to GTLDs which may be of interest to the particular brand-holder. Secondly, as when registering a trade mark, consideration must be had to the goods or services which form the core business of the company. For instance, companies involved in the clothing manufacturing or retail sector may wish to focus on new GTLDs which incorporate fashion or retail terms such as DotClothing (.clothing), DotShoes (.shoes) or DotShop (.shop). Companies should ensure that these “primary interest” GTLDs are registered first before becoming bogged down with other GTLDs that are of little concern to the core business. The primary goal, in short, of the company’s GTLD strategy must be to guard against any confusion or deception arising on the Internet due to cyber-squatting on a new GTLD which has a generic term related to the company’s core business. By adopting a well thought out strategy, companies cannot only save themselves a great deal of time and money when it comes to registering irrelevant domain names, but also save time in managing their online presence and brand protection by narrowing their focus to those GTLDs which actually matter. ICANN’s release of thousands of new GTLDs is set to change the face of the Internet and whether or not this change is for the better remains to be seen. The reality is that, without a well thought out pre-emptive strategy to address the release of new GTLDs cyber-squatting, online brand dilution and tarnishment will be inevitable and the Internet will fast turn from an excellent tool to a domain of disaster. This entry was posted in Trade Mark and tagged Domain Names, Robin Richardson on March 24, 2015 by DMKisch. Can you rely on your suretyship in business rescue?